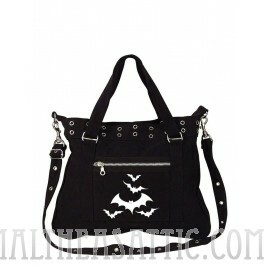 Fly into the darkness with the flying bats over the shoulder purse. This vintage military style bag is covered in grommets and zipper for the classic punk rock & grunge look. Flying bats printed on front pocket.